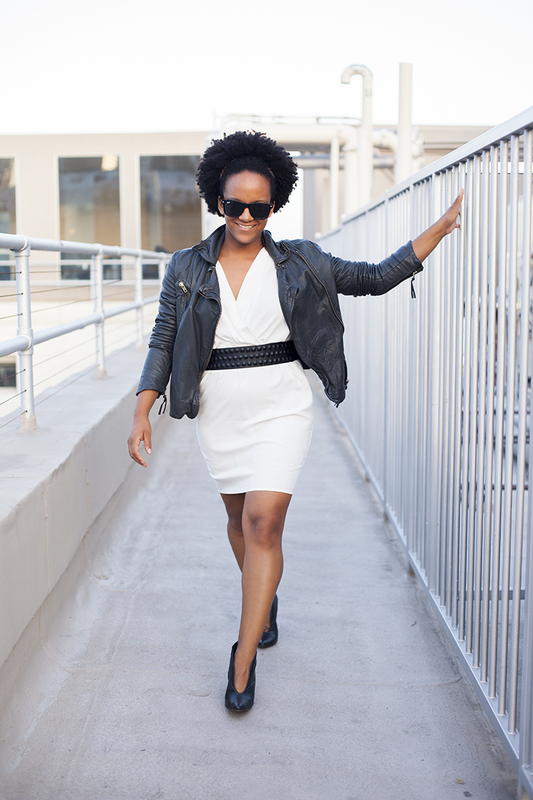 This recent purchase I made, a flirty chic white dress with dolman sleeves, was planned to be a hot little Summer dress for happy hour and dinner dates. Shame on me for only thinking I'd wear it with some sandals and a glam belt and that would be that... I mean this is The Tiny Closet. And this dress is meant for more. Since it's been cold and cloudy lately, I thought I'd add some thicker elements to this light piece. Some leather here, some leather there and here I am! Feeling warmer but still Summery I'd say, yes? The moment this downer weather clears and the sun really starts beating down, I will have to show you the swimsuits I've been putting together. I went to three different places in search of the perfect two piece. Mixing and matching! Keep visiting to see the outcome of my pursuits! Love the dress! So crisp and fresh for summer, and versatile too! those shoes are a great find!!! 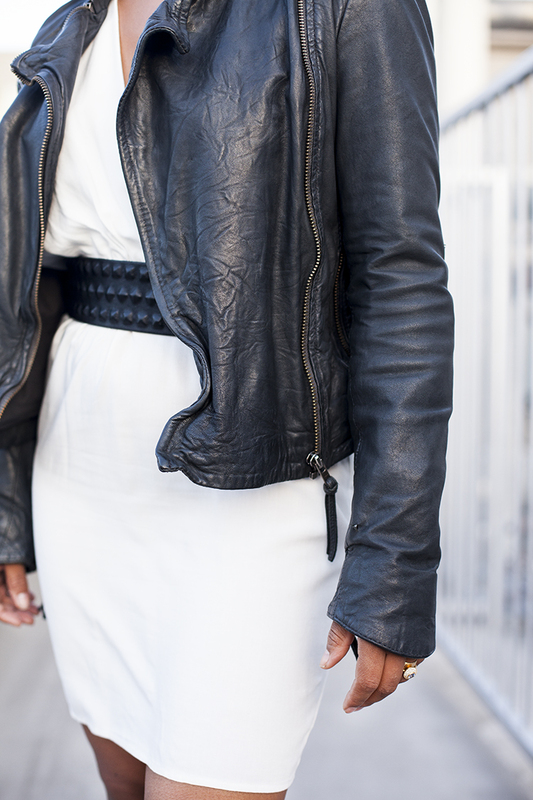 Loving this look with the rocker leather jacket!! !